The Grand Pacific was the first coastal hotel built in Victoria - building started in 1875 and was finished in 1880. Originally accessed only by ship, when it was built it was the start of Lorne being considered a tourist resort. Following three years of painstaking work, a multimillion dollar restoration has made The Grand Pacific once again the jewel of the Great Ocean Road. 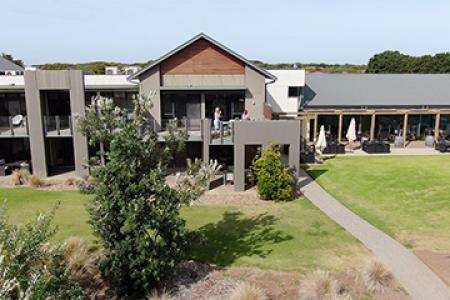 A beautiful room is available for birthdays, weddings, small conferences or any special occasion, featuring myrtle polished timber floors, discrete lighting and large glass windows with stunning views of the ocean, the pier and the Lorne township. The room can accommodate up to 180 for dining. Our restaurant is relaxing and friendly, with large ceiling to floor windows and boasts a menu that is stylish and ever changing. 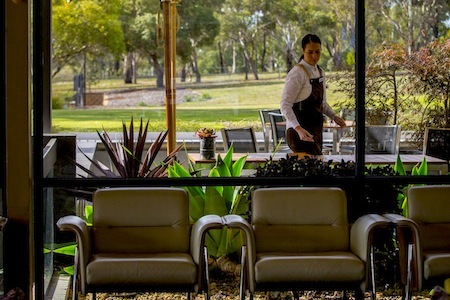 Indulge in a glass of wine, a coffee and cake or drop in for breakfast, lunch or dinner. Thirty-nine apartments have just been completed next door to the hotel, ranging from 1, 2 and 3 bedroom luxury apartments.